I am a mother of four and a grandmother of nine. I have been writing poetry since before I could write! (My mother wrote down the poetry I wrote as a four-year-old.) I have written seven other rhymed children’s stories, as well as eight rhymed musical plays for elementary school children (which have been performed in the Philadelphia PA area.) I love to write. My friends and family ask me if I think in rhyme and meter, and I have to admit that sometimes this is true! I grew up in the Willard Hotel in Washington DC (my Dad was the manager), was married and lived in Northern Virginia for twenty years where my husband and I raised our four children. We later moved to the Philadelphia PA suburbs where we lived for fourteen years before moving to the Binghamton NY area where we have lived for fifteen years. We will celebrate our 50th wedding anniversary next June! We are now retired, and we travel in our RV from the east coast to the west coast each year to spend time with our children and grandchildren. I have had a varied career. I was a physical education teacher and coach for ten years in the Washington DC area, then became a professional newspaper sports photographer and columnist for several years when our boys were playing competitive soccer. When our girls became interested in theater, I became a Dinner Theatre Company Stage Manager (as well as lighting and sound technician) and also was an Assistant Talent Manager for Cathy Parker Talent when our youngest daughter was doing commercials and professional modeling in NYC. When we were relocated to the Binghamton NY area, I became the Business Administrator for a software development company specializing in simulation, handling office duties as well as payroll and contracts. Now I have time to write, and recently each year corroborate with my daughter on a new rhymed musical for her first grade class. This entry was posted in Uncategorized on November 25, 2009 by Sherrill S. Cannon. 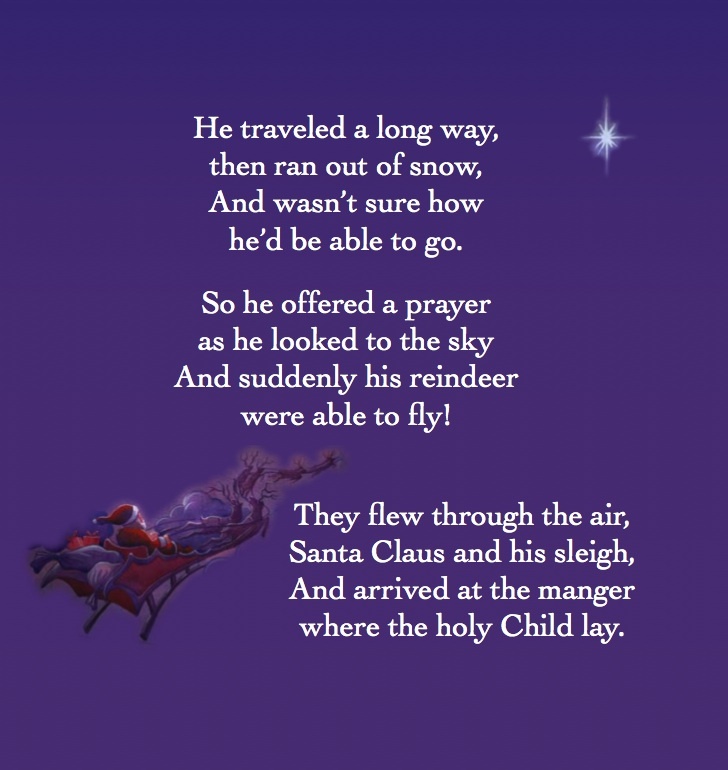 This entry was posted in Uncategorized and tagged Children's book, Christmas on November 19, 2009 by Sherrill S. Cannon. This entry was posted in Uncategorized on November 18, 2009 by Sherrill S. Cannon.